(WASHINGTON – Associated Press) - More than three-quarters of the chemical-weapons logs kept during the Persian Gulf War are missing, far more than the eight days' worth previously disclosed, the Pentagon reported today. A computer virus imported by an officer who brought some computer games to Gulf War headquarters may have wiped out half the logs, the report said. Two sets of the logs on disk and a paper copy shipped to U.S. Central Command headquarters in Florida after the war appear to have been lost from a safe in an office move. A third disk set and hard copy were lost from a safe at Aberdeen Proving Ground, Md. 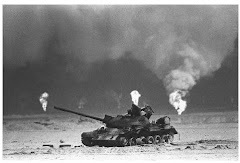 Gulf War veterans concerned about unexplained illnesses that have afflicted them are anxious to know whether the logs mention chemical-weapons releases. Many believe chemical weapons - which the Pentagon says were not used by Iraq during the war - caused their illnesses. And some veterans charge the Pentagon with covering up the full release of records. "The Pentagon has botched not only the handling of the records but also the investigation of the handling of the records," said Paul Sullivan of the National Gulf War Resource Council, a veterans group. Matt Puglisi, director of Gulf War issues for the American Legion and a veteran of the 1991 conflict, said that having been in the military he can understand the bureaucratic foul-ups that could lead to the loss of records. needs to be investigated aggressively," Puglisi said. The new Pentagon report, disclosed at a hearing of the Senate Armed Services Committee, concludes that only 36 out of about 200 pages of the logs can be found. "This expectation is based on an assumption that one page of log was written for each day in theater from August 1990 to March 1991," the report said. Previously, the Pentagon had said it was unable to locate records from a critical eight-day period in March 1991 immediately after the Gulf War, when Army demolition teams blew up Iraqi storage bunkers now believed to have contained chemical warheads. More recently, Bernard Rostker, the Pentagon official in charge of Gulf War illness issues, has warned that much more than eight days appeared to be missing. Today's report confirms Rostker's statements. 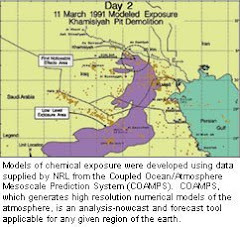 The logs were kept throughout the Gulf War by a nuclear-, chemical- and biological-weapons watch desk intended to track any events relating to these weapons. Testifying today, retired Army Gen. H. Norman Schwarzkopf, the Gulf War coalition commander, said he had no reports of chemical-weapons releases. "And believe me, we were looking," Schwarzkopf said. He dismissed the idea that chemical weapons caused Gulf War illnesses because, "we're talking about something where one milligram on your skin is fatal, and we never had a single report of a serious illness or fatality among 540,000 troops." Coalition leaders actually hoped they would catch Iraqi leader Saddam Hussein turning loose chemical weapons to help them highlight his brutality, Schwarzkopf said.